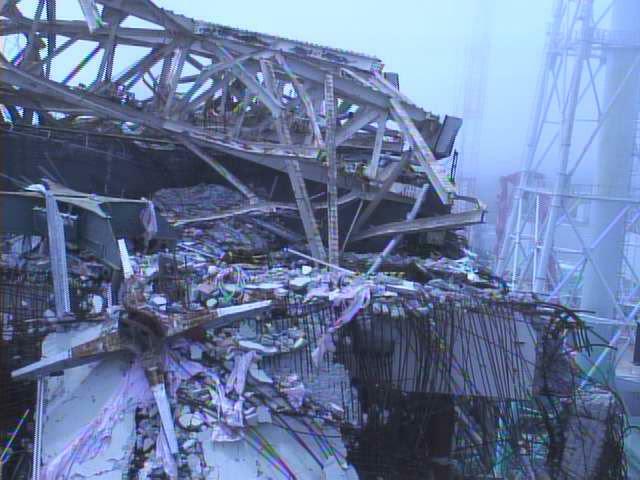 The post is for my own record and for those who missed the news in July this year about the steam rising from a gap near the shield plug on the operating floor of Reactor 3 at Fukushima I Nuclear Power Plant. For more posts on the subject, go here. 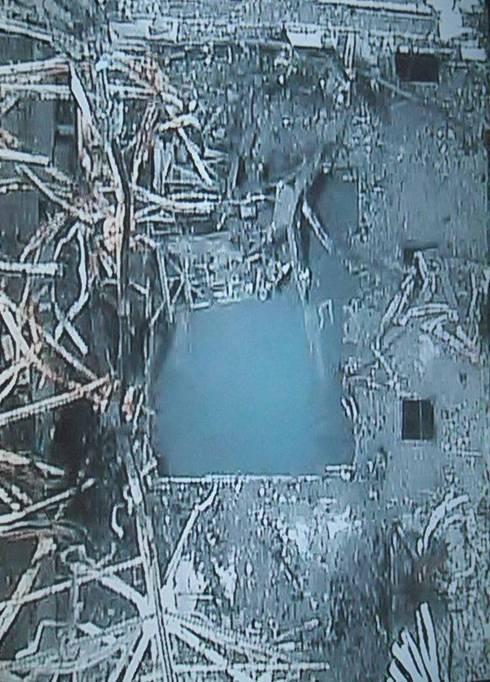 TEPCO's hypothesis from July is that it is part rainwater part leak from the Containment Vessel. 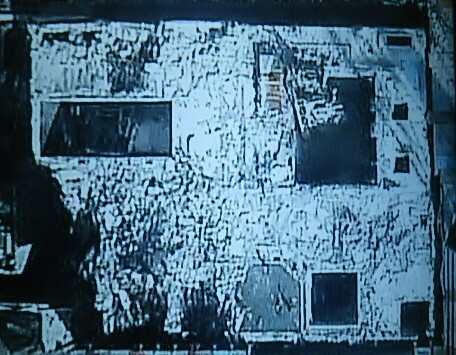 But it is more likely that the high air dose rates are not from the occasional weak steam from the spot as seen in the infrared images above, but from the contamination from the fallout in March 2011, from several vents including dry vent (releasing the highly radioactive gas inside the Containment Vessel to outside, without having it go through water to reduce radioactive materials) and the March 14, 2011 explosion of Reactor 3 and steam/smoke afterwards. 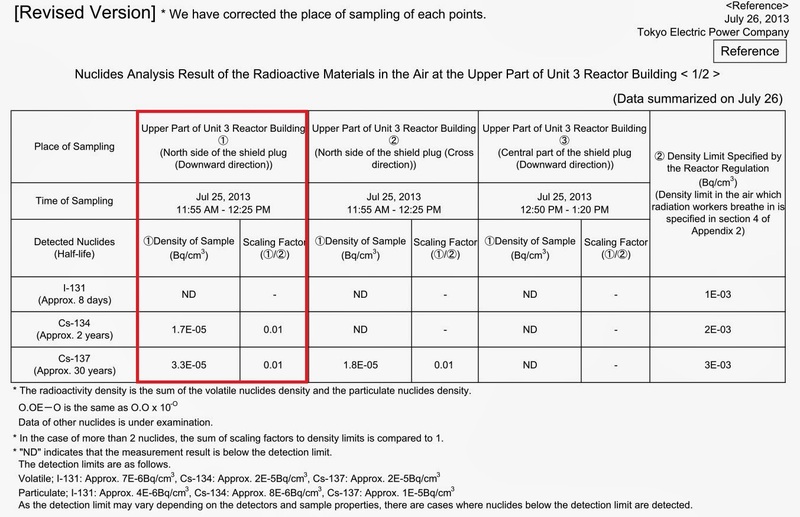 The steam/smoke in March 2011, as TEPCO casually admitted during the regular press conference on July 24, 2013 (there was no follow-up question from the press), came from a breach in the Containment Vessel of Reactor 3, "as you all know". 5. 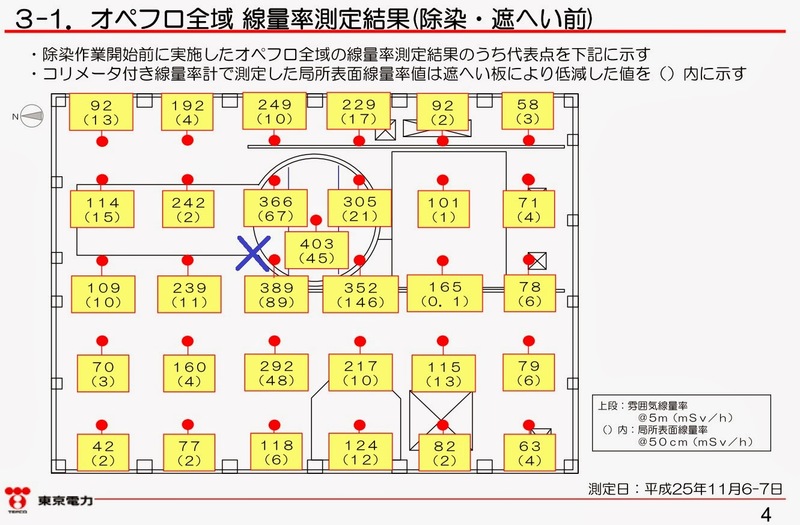 Reactor 3's Spent Fuel Pool is filled with debris big and small, but there are fuel assemblies inside the pool which are cooled with water (water temperature at 11.2 degrees Celsius as of 12/27/2013, from TEPCO's handout for the press. 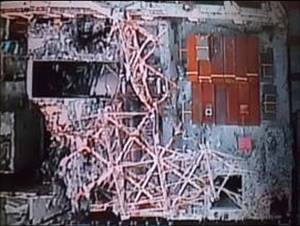 In the October 10, 2013 picture it looks like they remove the trolley crane assembly that was laying across the top the of reactor. Wonder if removing the weight and pressure made things worse or better. 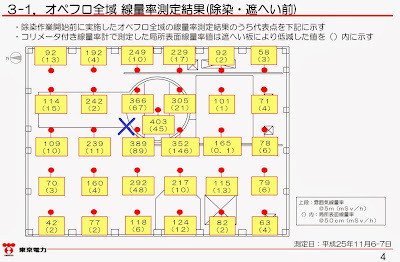 Must have spread all kinds of radioactive dust around the site while they were clearing Unit 3. This discussion about the nature and source of the steam is surreal. It's akin to standing in the middle of a forest, with a raging fire approaching from all sides, and having to debate whether the pine trees, or oak trees, or brushwood, are the source of the flames. Is 34C commonly associated with steaming? 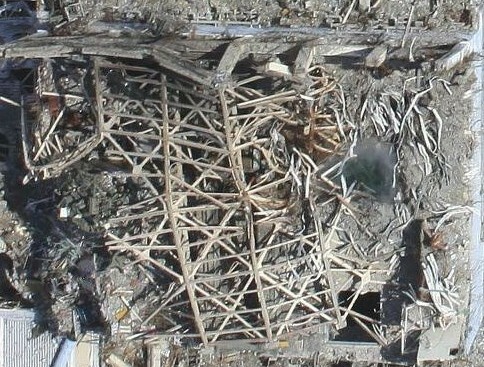 "several hundred millisieverts per hour radiation"
Is several hundred millisieverts radiation associated with steaming? 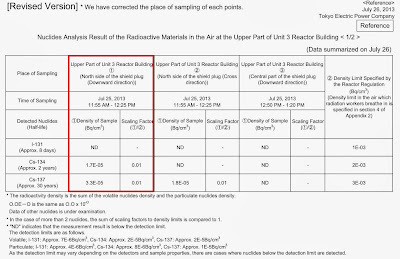 Using that above infrared image and Reactor #2 building as an example. The view in 1,3, and 4 is down thru water in the SPFs. You are not seeing the sources themselves. 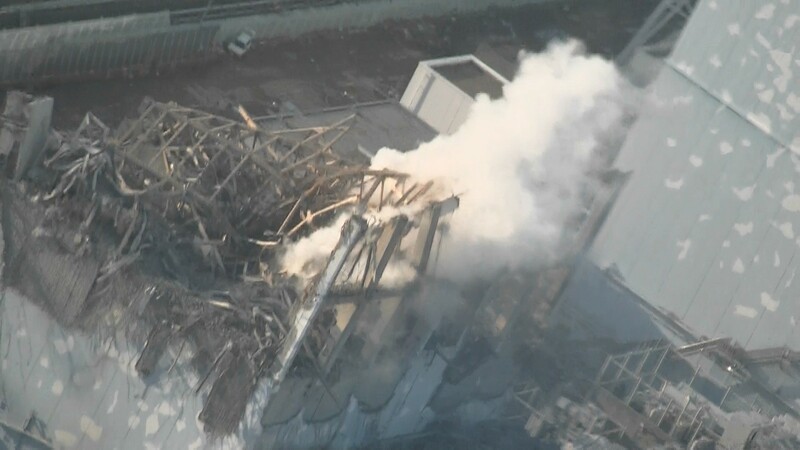 The outer walls of 2 are uniformly heated by steam. You are not seeing the steam source itself. Some source in 3 is well above 34C and is producing transitory steam events. anon at 1:22AM, it will be far better use of your time if you go to sites that discuss nothing but raging forest fire, whether the fire is actually there or not. Not here. Thank you for making my point so succinctly.